This entry was posted in 2013, Backyard Blooms, Garden plants, Ornamental Plants, Perennial plants, Photography and tagged chrysanthemum, fall blooming plants, fall gardening, gardening, nature by missinghenrymitchell. Bookmark the permalink. So beautiful and gorgeous bokeh!! I have big chrysanthemum plans for next spring! For some reason I feel this need to add all kinds of hardy fancy types. Do you think it’s just part of the season? My leftovers from falls gone past are also just coming into bloom. They’re the slow end to that slide. Isn’t it interesting how gardeners develop urgent plant needs? I am nursing about four at the moment–or perhaps four dozen. 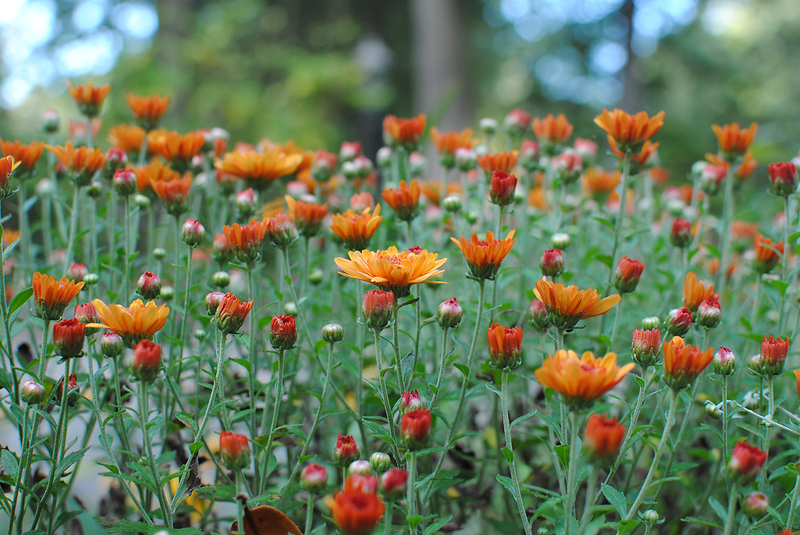 What specific chrysanthemums are you considering (make it four dozen and one…)? I do think that as the seasons begin to transition, we crave whatever plants thrive in the season to come. It is much more exciting to look forward with anticipation than to watch the decline, however temporary, of the plants we have watched for months already.